Ed Demaria is now an associate producer with MTP Daily, the MSNBC weekday answer to NBC’s Meet the Press, which launched this week. Demaria was most recently a production assistant for Meet the Press since October 2014, and was previously a desk assistant for NBC News. MTP Daily airs weeknights at 5 p.m., EST. 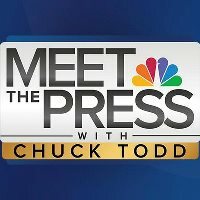 Follow Meet the Press on Twitter and ‘Like’ on Facebook to keep up with the program’s signature coverage of public affairs.